CBD Oil Review rates The Pura Vida CBD Brand with one star because it qualifies for the Quality Badge. 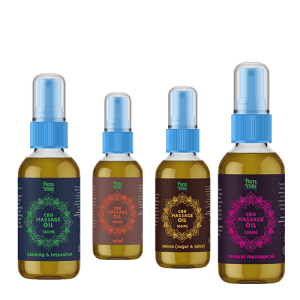 This Dutch CBD Oil Company appears to have it going on with a fresh product line. Their ingredients are cleanly sourced and natural, and if their hemp is indeed sourced from organic hemp farms in Slovenia and Croatia, we bet the cannabidiol itself is top notch. Unfortunately, Pura Vida lacks the basics, like a solid mission statement and more importantly, test results for safety and purity. Regardless, purchases are unavailable to those residing in the US and Canada, so any visits to Pura Vida remain a sightseeing experience for most. 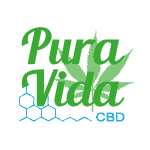 Pura Vida is all about full-spectrum CBD products that are ‘raw, unrefined, and in most cases hand-crafted in the country of origin.’ They boast that every tincture contains over 70 cannabinoids (including CBD, CBDA, CBC, CBN, and CBG-A), as well as terpenes, amino acids, proteins, chlorophyll, ketones, alkanes, glycosides, lipids, vitamins, flavonoids, fatty acids, and trace minerals! Whew! 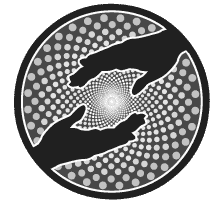 Nobody likes to be the bearer of bad news, but we’ve taken on this challenging job and are here to inform you that Pura Vida lamentably does not post cannabinoid profiles to backup their awesome claims. We’ve seen many quality EU vendors refrain from posting contaminants tests (we don’t let it slide BUT pesticides and herbicides are used substantially less in Europe), but they know that to be transparent, they must publish cannabinoid profiles for each SKU. CBD business 101. 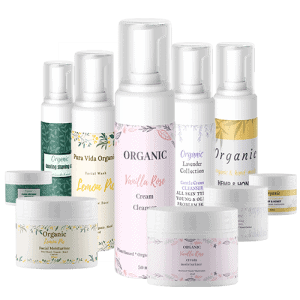 The company utilizes supercritical CO2 extraction, and Pura Vida’s CBD oil product line appears to have what we look for: natural ingredients, clean sourcing, and focused formulations. Their CBD oils and hemp foods look top notch, and they boast a CBD topical line with no nasty ingredients. European CBD vendors tend to be non-offenders in the topical nasties department, as many of the ingredients we frequently call out in the US are banned in the EU. 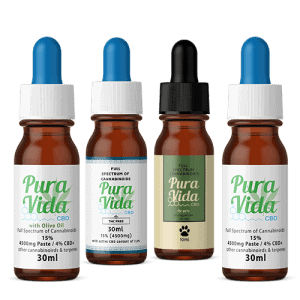 Pura Vida is not available for purchase in the United States and Canada, but they deliver their CBD products all over Europe and are located in many retail locations across the continent. Pura Vida CBD sources organically grown hemp flowers in Slovenia and Croatia and uses CO2 extraction to procure their CBD oil. All I can say about this cbd oil is that our 13+ year old German Shepherd has degenerative mylopathy, hip dysplasia and arthritis and has been very uncomfortable, shifting from side to side, appetite not up to par and a bit anxius from her discomfort. I had this oil from when our other dog had cancer (but she was a very picky eater and wouldn't take it.) So when Dakota showed symptoms I gave her drops on some of her treats and within 10 minutes, she was relaxed and stopped shifting her weight. I use it twice a day with her and if we forget, we definitely see the difference. No matter what the label says, this works for the pallative care of our dog. Pura Vida have cleverly put very ambiguous and deceptive labelling on their products designed to mislead people. Their 10% CBD oil is not 10% CBD, it's 1.8%. The extract content is 10%, but no extract, not even isolate is 10%. They put 1.8% in small letters at the bottom of the label but why do this? Why not advertise it openly as 1.8% CBD oil? Very slippery and not nice to do to people who may be sick, and get tricked into thinking they are buying 10% CBD oil.